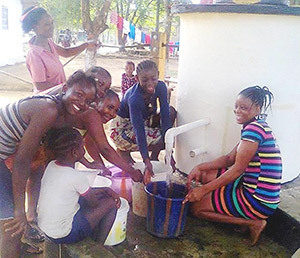 This ‘Elephant Pump’, in Monrovia, is one of over 5,000 pumps installed by Africa Trust across Zimbabwe, Malawi and Liberia as a result of AquAid’s contributions. At Redwood Financial we’re aware that keeping our staff members hydrated will aid them to perform at their very best throughout the work day. As a result, we decided to invest in watercoolers from AquAid.